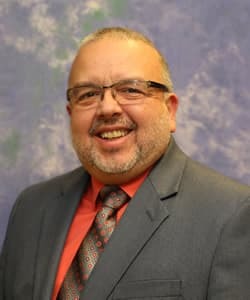 The Center for Minorities and People with Disabilities in Information Technology (CMD-IT) is honoring Manuel Pérez Quiñones, associate dean for the College of Computing and Informatics, with the 2017 Richard Tapia Achievement Award for Scientific Scholarship, Civic Science and Diversity in Computing. This award is bestowed annually to an individual who demonstrates significant leadership, commitment and contributions to diversifying computing. Pérez Quiñones will receive the award at the 2017 Association for Computing Machinery Richard Tapia Celebration of Diversity in Computing Conference to take place in September in Atlanta, Georgia. Tapia, the award’s namesake, is a professor at Rice University and is a nationally recognized leader in diversity; he has delivered numerous invited addresses at U.S. and international mathematics conferences, served on university diversity committees and provided leadership across the country. Two professional conferences have been named in his honor, recognizing his contributions to diversity: the Richard Tapia Celebration of Diversity in Computing Conference and the Blackwell-Tapia Conference. Founders of the latter event described Tapia as a seminal figure who inspired a generation of African-American, Native American and Latino/Latina students to pursue careers in mathematics.